This beautiful necklace from the Mantra collection is made from 925 Sterling Silver. In heraldry, the bee is traditionally a symbol of diligence and effort. 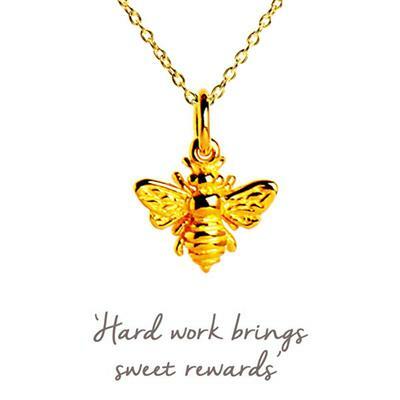 Wear this Mantra necklace to inspire you to persevere with your efforts, since hard work brings sweet rewards.